The controversial ‘breakthrough’ is unconfirmed, but Dr He Jiankui claims to have created the world’s first genetically edited babies, using a technique aimed at making them more resistant to HIV. 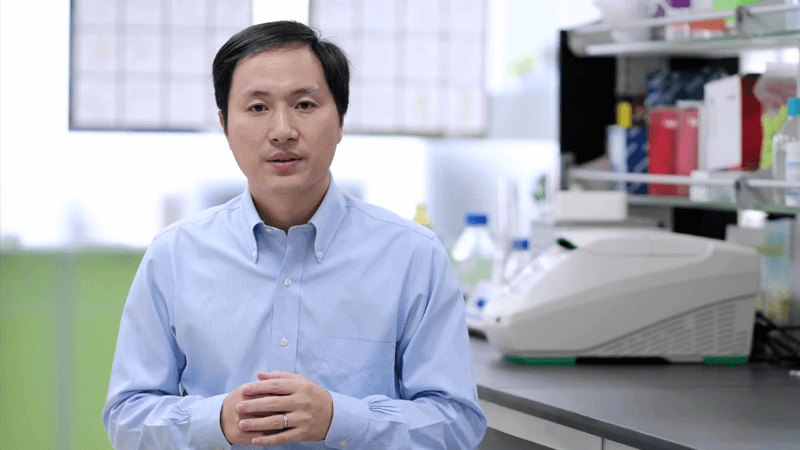 Gene editing is banned in most countries, including China, where his research was denounced as “shocking and unacceptable”. Dr He claims his work was approved by an ethics committee at Harmonicare Shenzhen Women and Children’s Hospital. Both the hospital, and the Southern University of Science and Technology in Shenzhen, where Dr He works, deny any involvement in the research. Xu Nanping, a Chinese Government vice-minister for science and technology, said: “The genetically edited infant incident reported by media blatantly violated China’s relevant laws and regulations. Qiu Renzong, a bioethicist at the Chinese Academy of Social Science in Beijing, said He’s work would damage the reputation of Chinese science, saying: “Of course it’s not ethical”. Gene editing is illegal in the UK where it is deemed unsafe and unethical. When a gene is altered to remove one characteristic, other characteristics may be removed or changed unintentionally. Editing the gene which allows HIV to enter a cell can make a person more susceptible to dying of flu. Dr Sarah Chan, a bioethicist at the University of Edinburgh, branded He’s announcement “irresponsible and unethical”. She said: “The claim made by those responsible for the research is that the babies have been genome edited in an attempt to make them immune to HIV. “The lifetime risk of contracting HIV is extremely low in the first place; there are other means of prevention and it is no longer an incurable, inevitably terminal disease. Julian Savulescu, a professor of practical ethics at the University of Oxford, said: “If true, this experiment is monstrous”.